Suresh is back in the spotlight in the show. 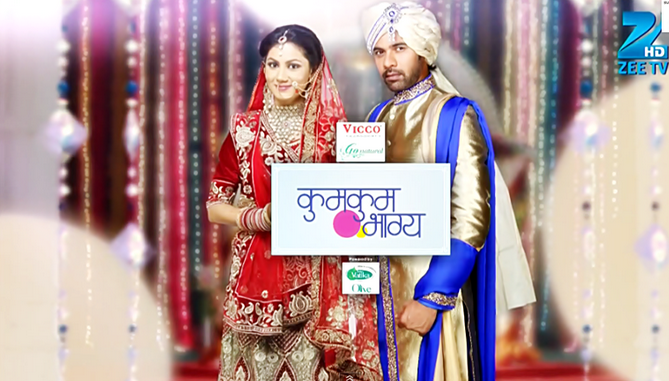 Abhi has been confused by the sudden Tanu’s shock of her marriage proposal for him. Tanu’s emotional blackmail failed on Abhi, as he gives importance to his marriage with Pragya, no matter what feelings they have, he does not like Pragya, but respects her and their marriage. He has refused to Tanu and she is trying to influence him again. Pragya sees Abhi tensed and he tells her about Tanu’s proposal. He then shoos off the matter saying it was a joke, as Bulbul pops up. Pragya tells Bulbul that she loves Abhi and she knows he is a good person by heart. Abhi’s rejection has made Tanu worry and she lands to take Aaliya’s help, who is cool towards the matter, as she has got a great idea to kick out Pragya from their house by making her fall in the biggest supporter’s eyes, that’s their Dadi. Aaliya gets a video of Suresh and Pragya and uses it against Pragya, as she shows it to Abhi and Dadi, and blames Pragya for having a bad character, and keeping an extra marital affair with Suresh. She says this is Pragya’s real face, she is married, but did not forget her lover till now. Abhi is shocked seeing it, where Suresh and Pragya are in wrong situation. Dadi faints seeing it and Abhi scolds Pragya to be responsible for Dadi’s ill state. He warns Pragya to be away from Dadi. Pragya gives explanation that it’s not like the way Aaliya is interpreting them. Abhi does not listen to her, and Aaliya’s plan works out this time, making Tamu happy. Will Aaliya and Tanu succeed in drifting Abhi and Pragya apart? Keep reading!! Prague should leave this brainless rockstar…….only then he will realise her importance and please unite purab and bulbul. Don’t make bulbul to do unecessary sacrifices.